Our Paragliding School is dedicated to creating the perfect learning experience for our students. If you're serious about Speed Flying, learn from the guys who brought the sport to the States. Cloud 9 covers water and snow (and buggy) kiting skills from top to bottom in each class. Questions, comments or suggestions? We’d love to hear about it! Contact us today. 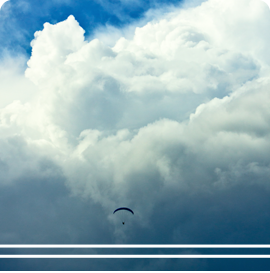 Ask any of our hundreds: the Cloud 9 Paragliding School is utterly dedicated to creating the perfect learning experience for our students. Our staff of instructors is composed entirely of pilots who love teaching as much as they love the sport -- and that's saying something. In essence, though, Cloud 9 is really just a big toy store. In addition to an encyclopedic inventory of paragliding gear, we have tons of other random stuff that's sure to make anyone smile. 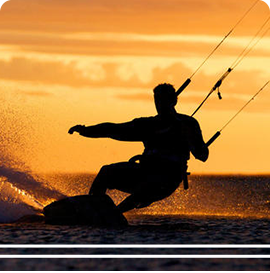 We stock slacklines, HD GoPro helmet cameras, insane pogo sticks, snow- and kitesurfing gear, inflatable stand-up paddleboards, kids' kites, Segways, mountain unicycles...the list goes on and on. Basically, if we have fun doing it--it's here. 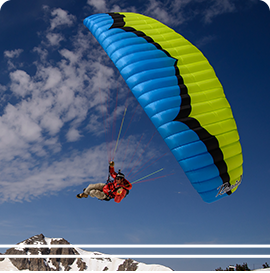 We are the nation's largest paragliding and speedflying facility. 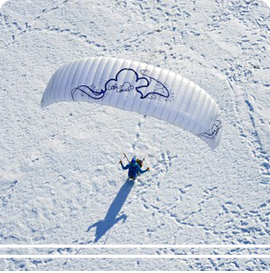 We teach lessons 7 days a week (year-round, even in our snowy Utah winters), boast a complete repair loft and are the US importers for most major brands of paragliding equipment, supplying over 40 flying schools across the USA. Our shop is awesome. Really. We love it when people come over to hang out and try a new toy.